SOCIAL STUDIES: Abbreviation Test for 50 States is tomorrow! Yearbooks cost is $11 (either cash or check). Tomorrow is the LAST DAY TO ORDER ONE. SCIENCE: K’NEX - Compound Machine Menu Options - due tomorrow! Bring your permission slip and $3 to Advisory next week, Thursday 2/26! 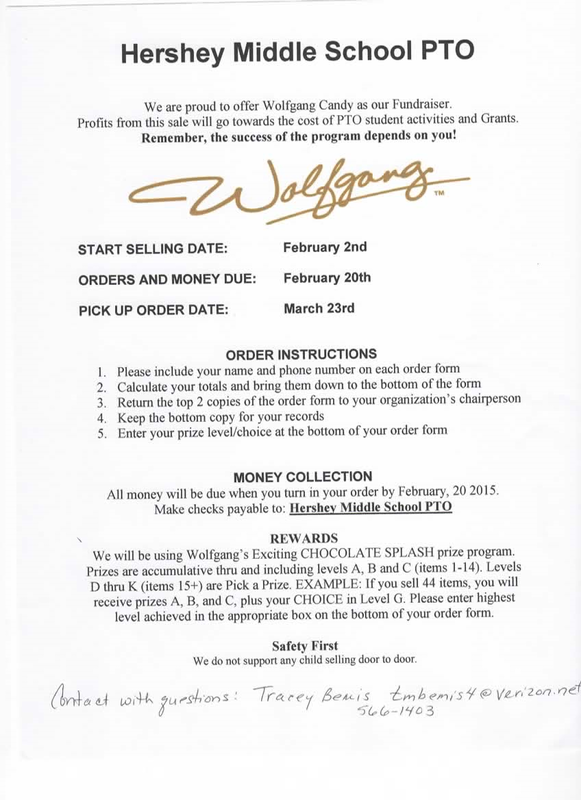 Wolfgang Chocolate Sale from the Middle School PTO - Bring in orders tomorrow!